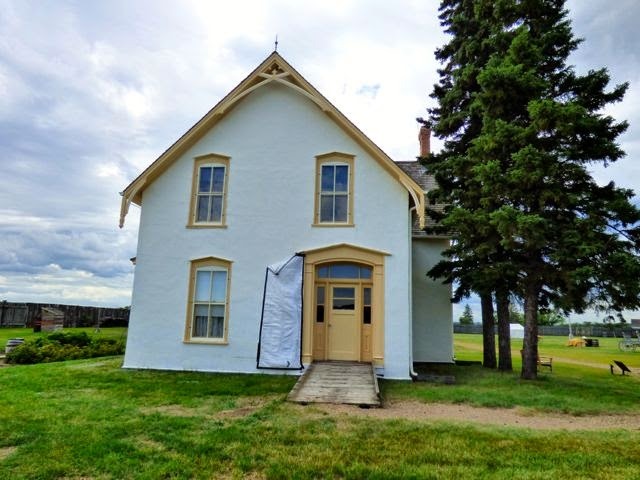 A long drive via the Yellowhead Hwy 16 from Stony Plain to Saskatoon..345 miles of canola fields, ranches and farmlands. 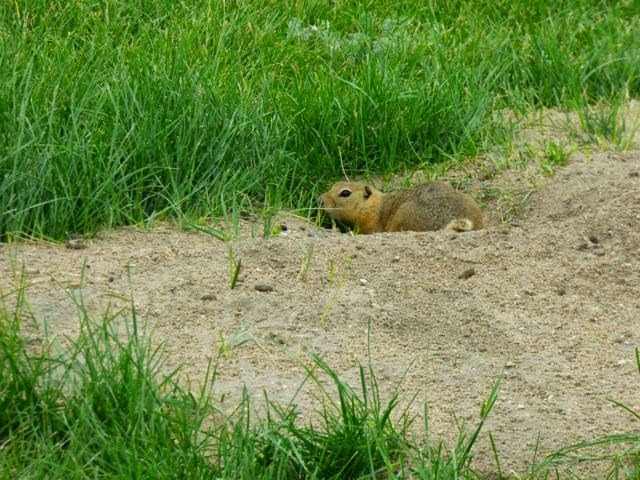 Upon entering Saskatchewan disappointed there was no visitor center and no rest areas on the drive. 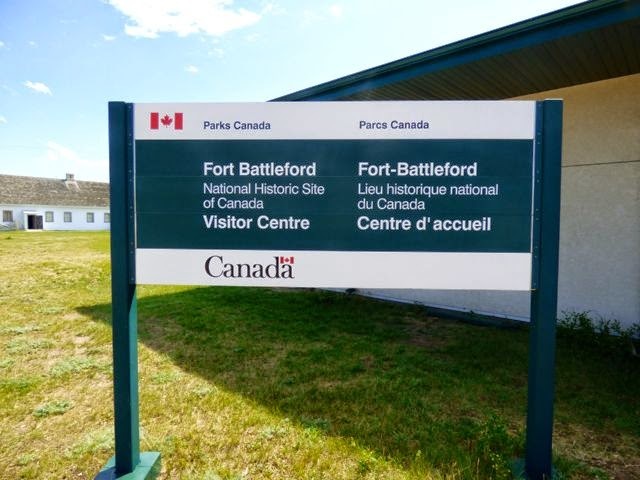 Since the weather was sunny with rain expected for the next 3 days, decided to stop in Battleford to visit Fort Battleford. 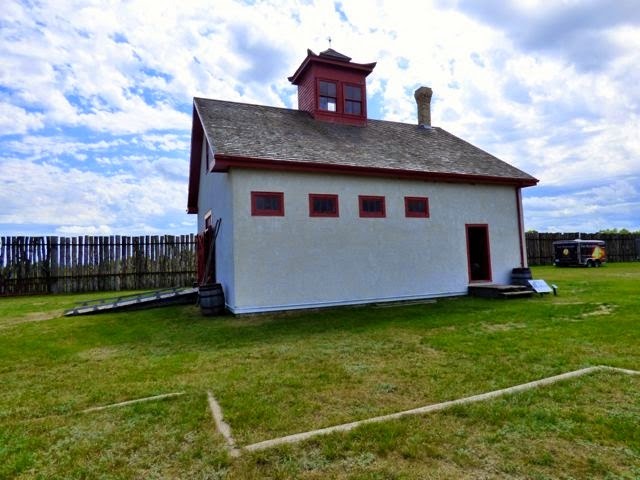 The stockade at Fort Battleford was built in 1879 . 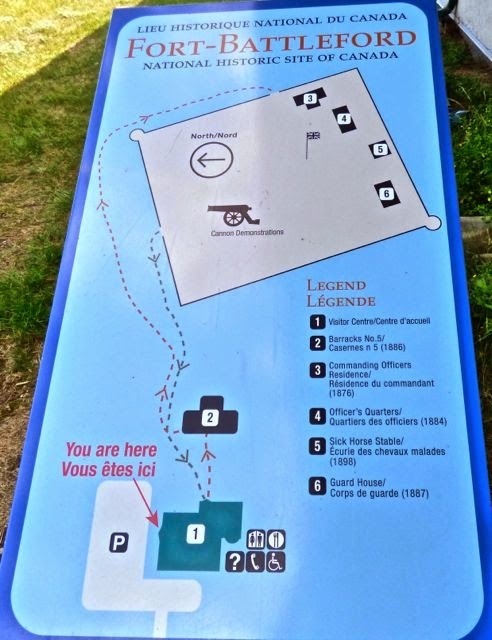 It was reconstructed in the 1960's by Parks Canada. 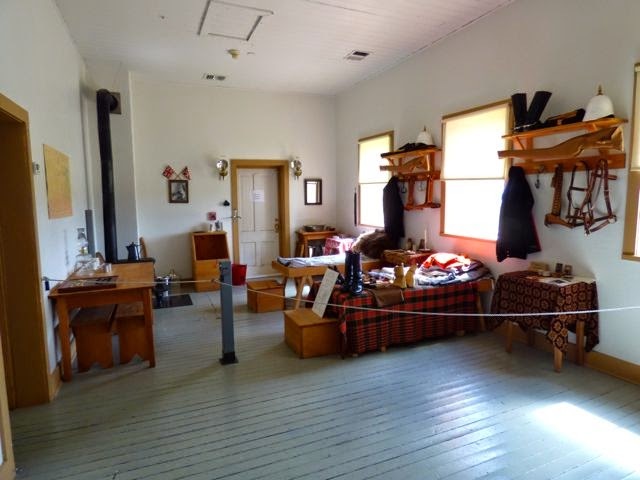 There are 5 original buildings still standing and open for viewing including interpreters happy to answer questions and relate the history. 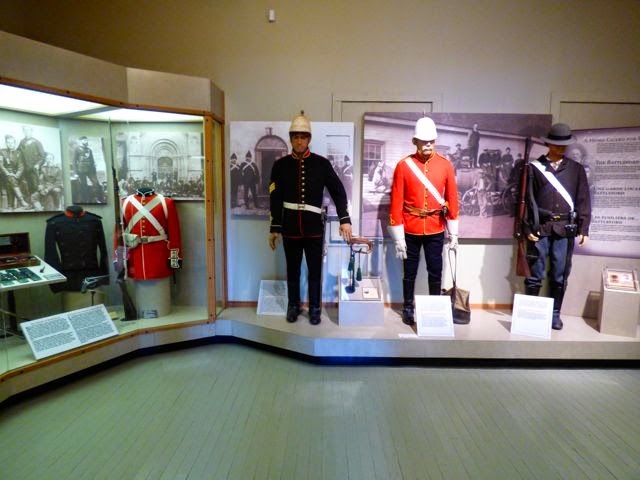 The Barracks is now a museum depicting the history including artifacts and military dress and arms. 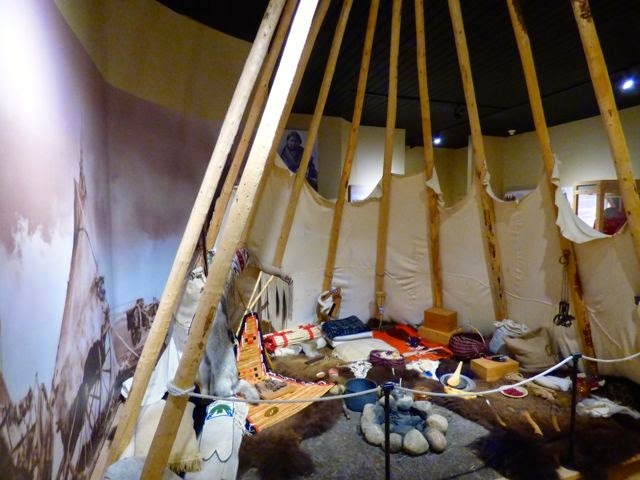 There is also a First Nations exhibit. 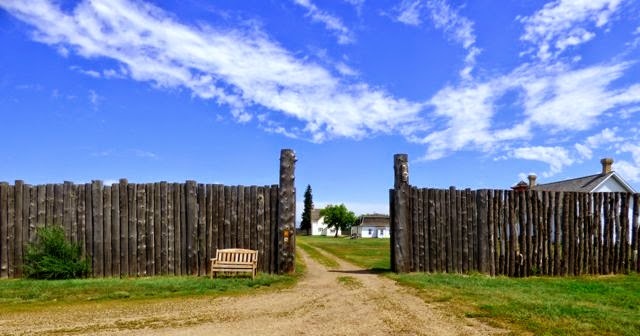 1885 was a pivotal year in the history of the Fort and nation as tensions erupted over issues of unresolved treaty promises and Metis rights resulting in arrest and imprisonment of Chiefs Big Bear and Poundmaker and the hanging of 8 First Nations men. 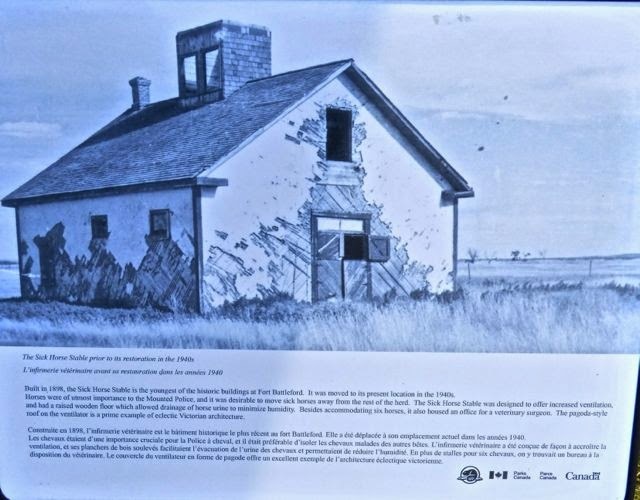 The Fort also provided protection for some 500 local settlers following the North West Mounted Police defeat by the Metis. 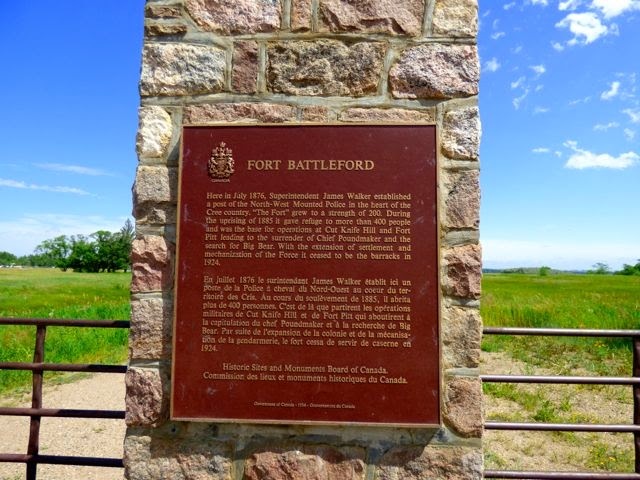 The aftermath of the battle, resulted in deaths on all sides including the burning of Battleford. 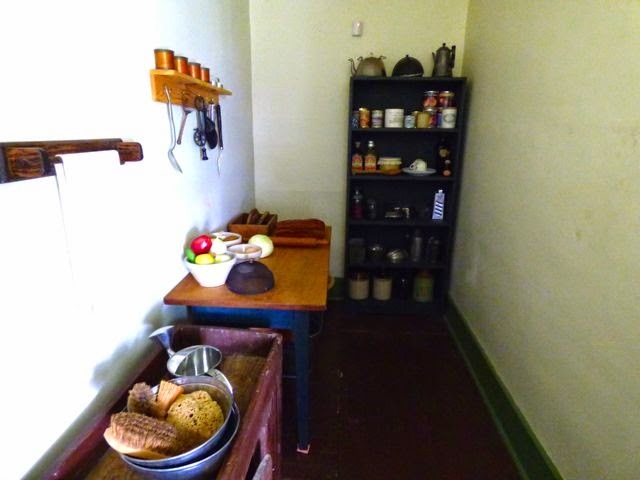 The Fort was finally closed in 1924. 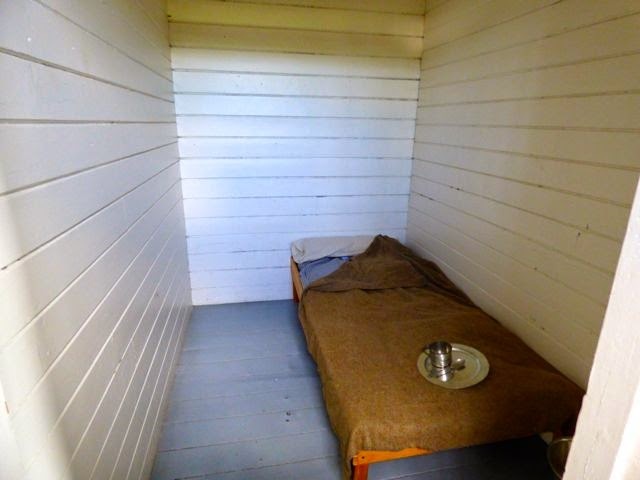 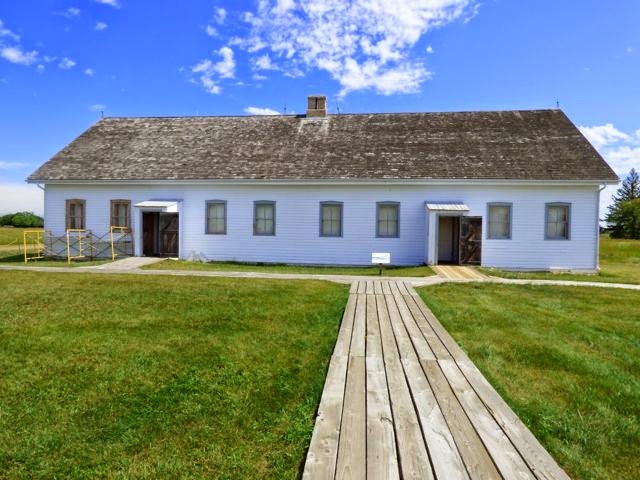 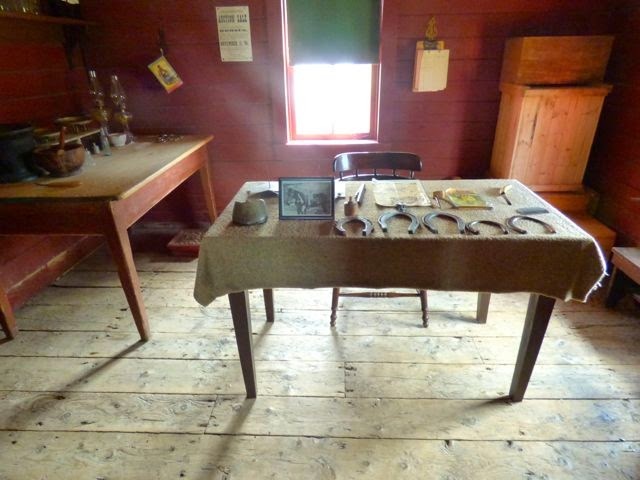 The Guard House held the 8 First Nations men as well as other prisoners committed for treason. 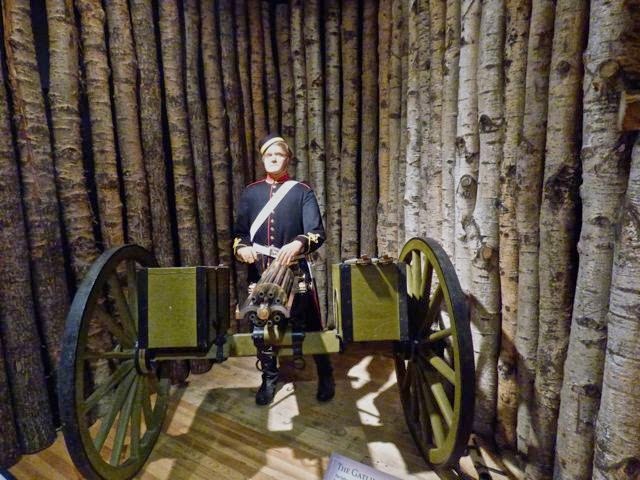 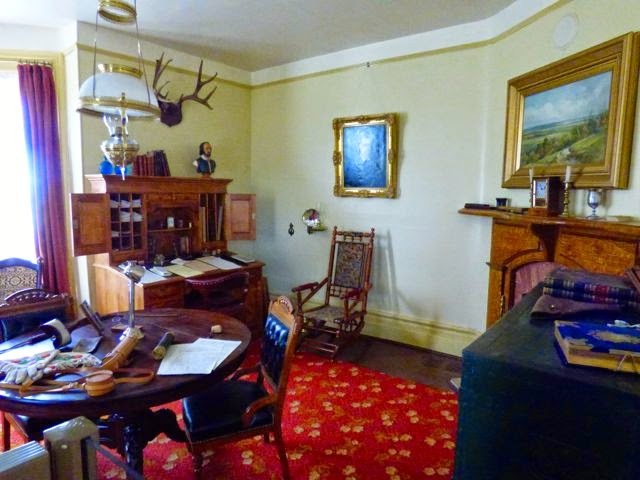 It was from the Officer's Quarters that Lt Colonel Otter in residence left with 300 men to attack the Cree camp and after a six hour battle was forced to retreat back to the Fort. 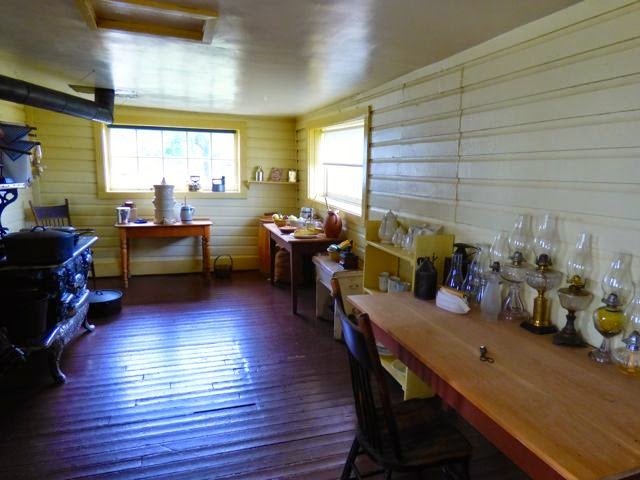 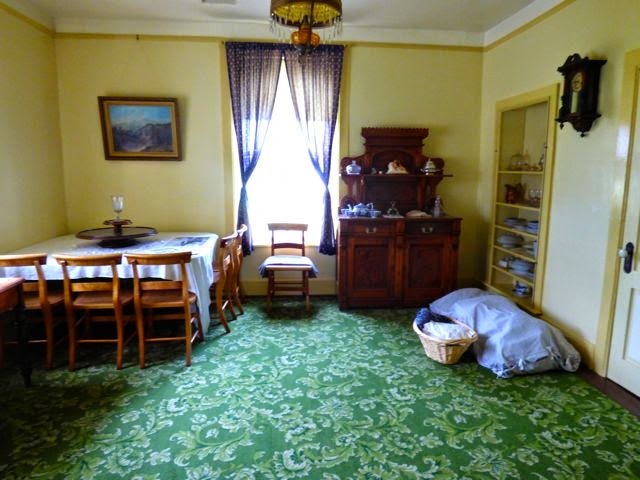 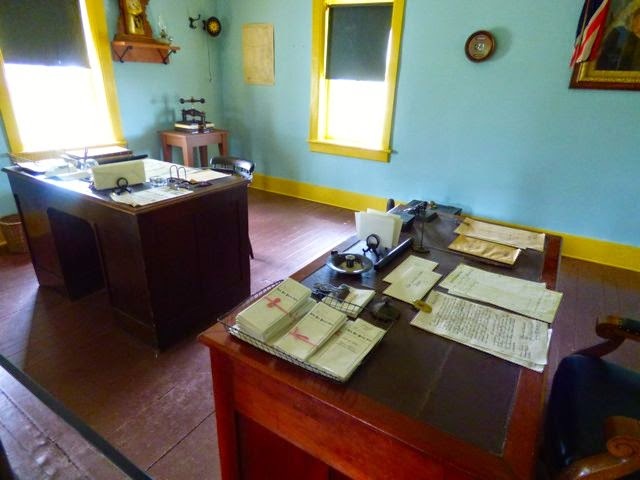 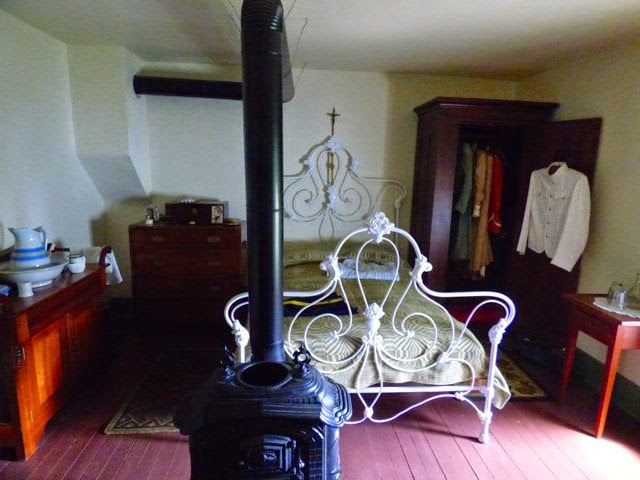 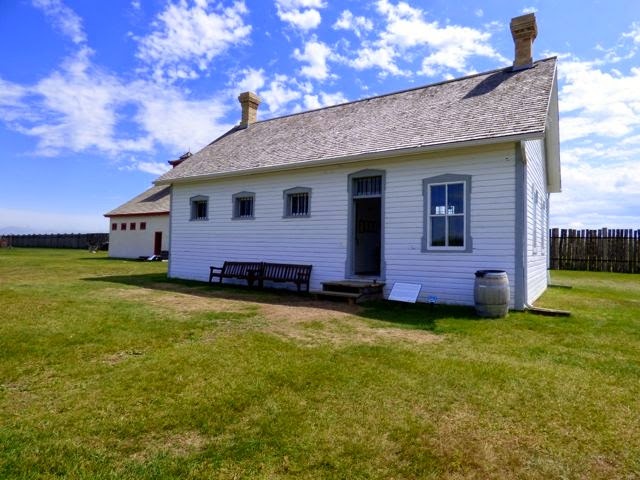 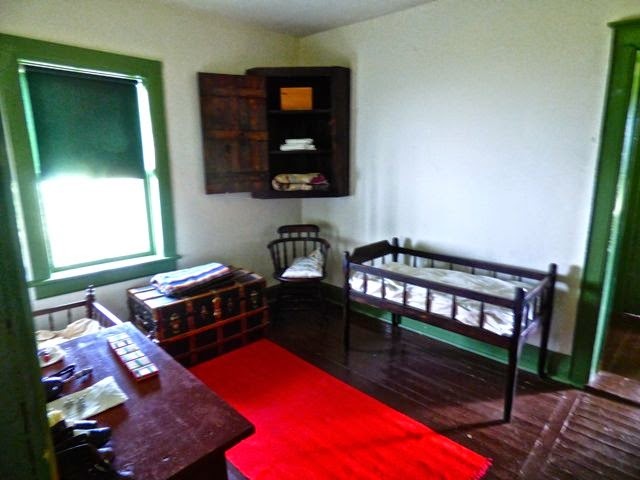 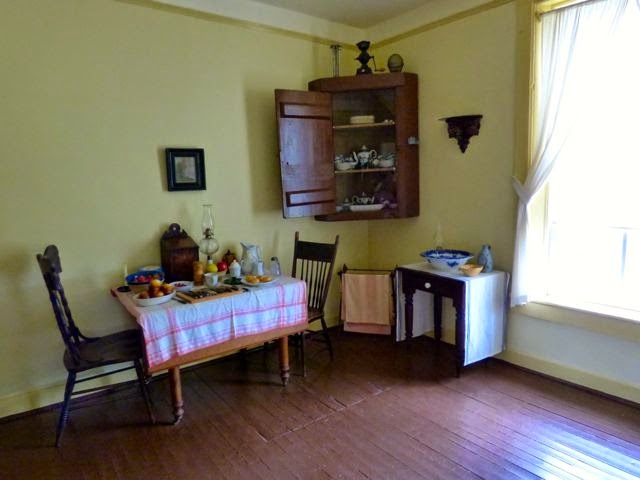 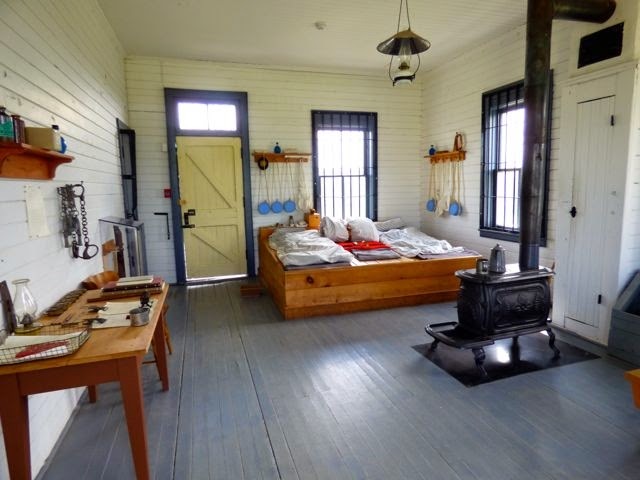 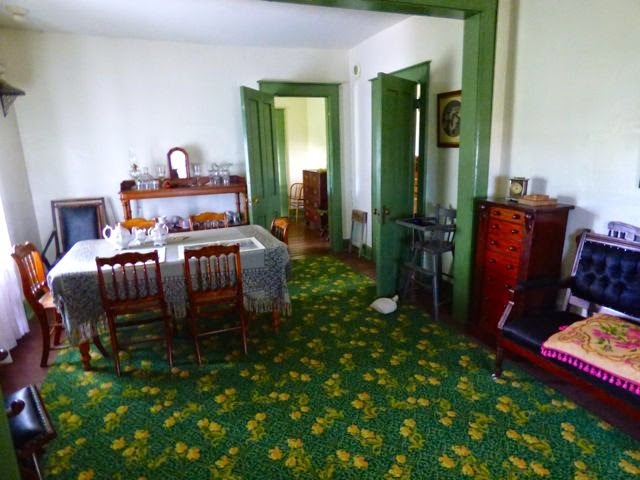 The Commanding Officer's house served as not only a home for the Commanding Officer and his family, but also some 72 women and children during the 1885 conflict. 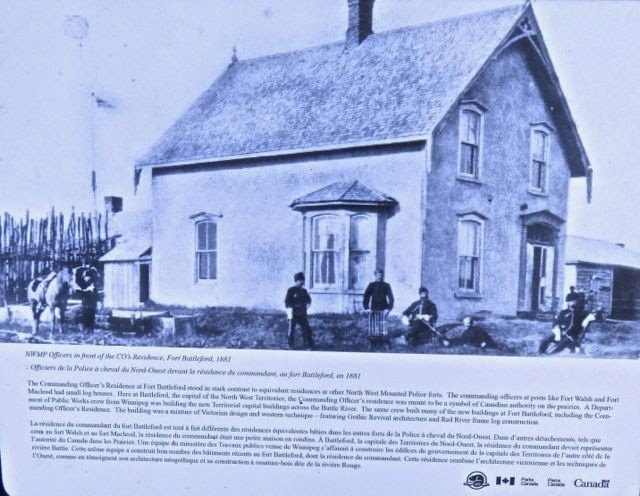 From the upstairs, the town of Battleford could be seen burning. 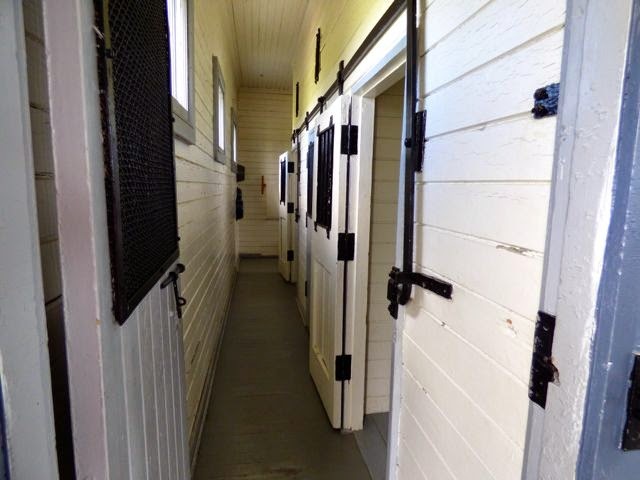 The Sick Horse Stable was instrumental in maintaining the health of the horses, the lifeline of the forces. 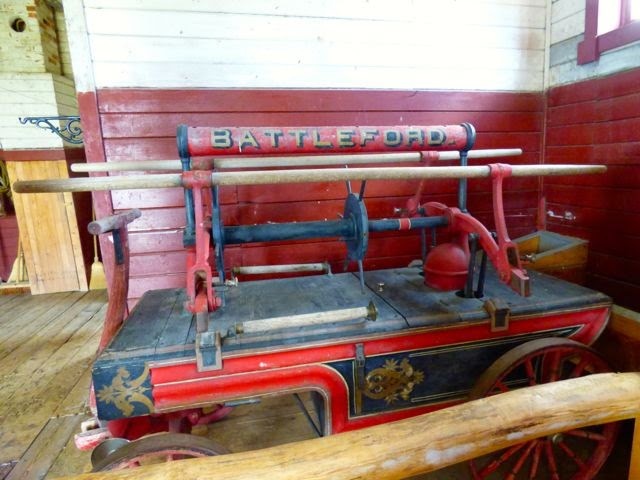 In the stable is an antique fire engine. 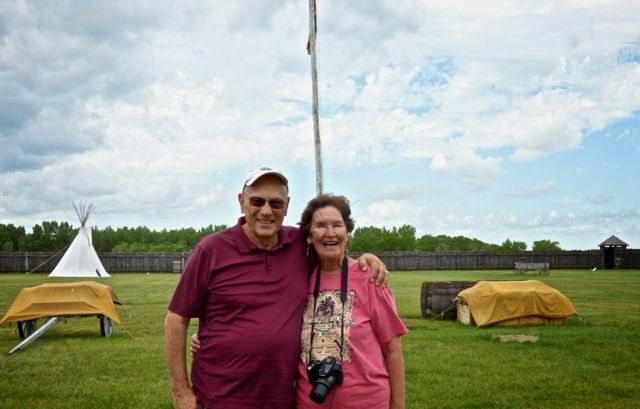 The veterinarian also served people at the fort. 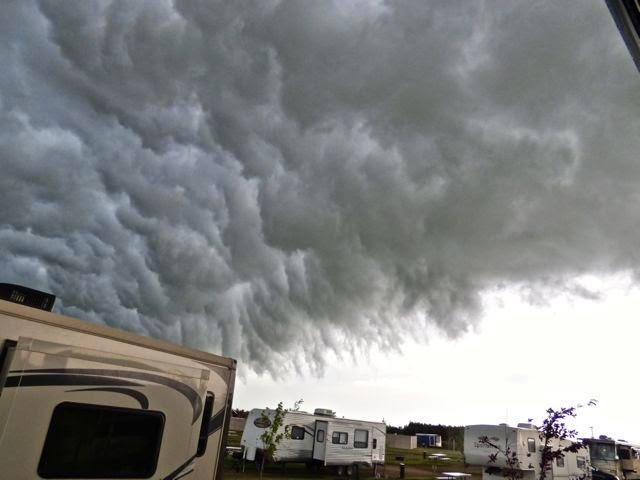 When we arrived at Campland RV it was raining and realized we made the right decision as noted by picture below. 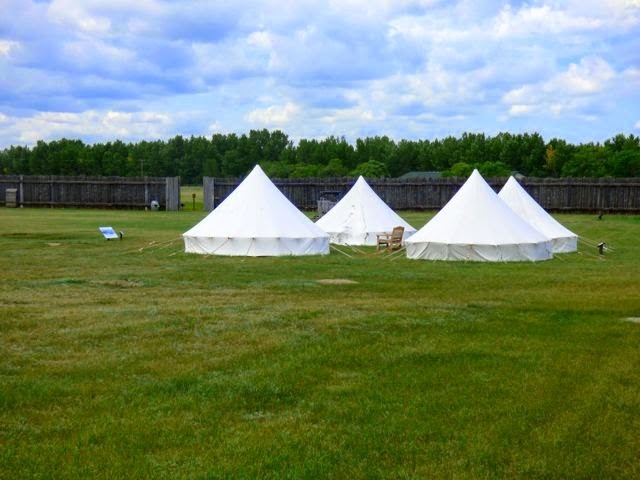 Will post photos of campground when sun returns. 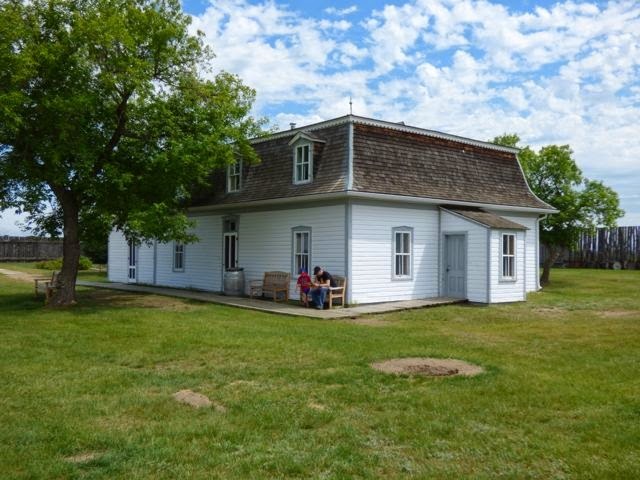 We will be here 5 nights before going into Manitoba.